EcoWasher® brings you “THE REAL CLEAN” a scientifically proven technology used by hospitals to kill infectious germs in laundry for decades. Its an add on to your existing washer that transforms cold tap water into powerful germ-killing oxygen charged wash. Our engineers simply scaled down hospital technology making it available for home use. Live healthier, in softer, fresher, brighter clothes, knowing that your family is safe from infectious bacteria, mold, germs and chemical residues left in your clothes from using laundry detergent and hot water. Switch to “THE REAL CLEAN” and never buy laundry detergent again. EcoWasher® XL-4000 Commercial is an Environmentally Friendly appliance intended for use in hospitals, hotels, pools, spas and other public places. EcoWasher® XL-4000 will purify, disinfect and sterilize water to prevent contaminated and/or polluted water from spreading and causing damaging effects. EcoWasher® XL-4000 uses a built-in water magentizer that preteats regular and hard water. EcoWasher® XL-1000 Commercial is an Environmentally Friendly appliance intended for use in hospitals, hotels, pools, spas and other public places. EcoWasher® XL-1000 will purify, disinfect and sterilize water to prevent contaminated and/or polluted water from spreading and causing damaging effects. 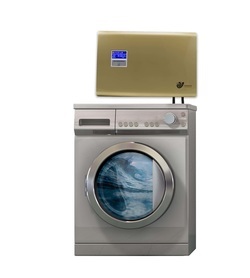 EcoWasher® XL-1000 uses a built-in water magentizer that preteats regular and hard water. 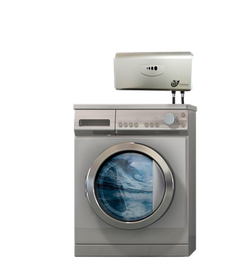 We believe that the EcoWasher® stands alone in superiority to any other method of cleaning laundry. It's 100% natural, safe, saves money, saves time and is environmentally friendly!